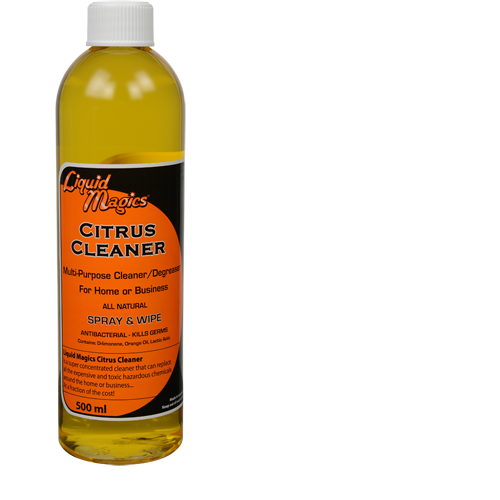 Liquid Magics Citrus Cleaner Applicator Bottle is Complete with a Spray Nozzle that can be adjusted from a fine mist to a water jet stream. 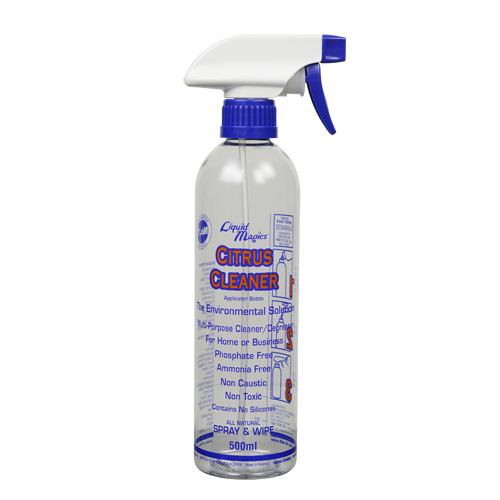 The 500ml capacity transparent plastic Applicator bottle has been specifically designed for use with Liquid Magics Citrus Cleaner. 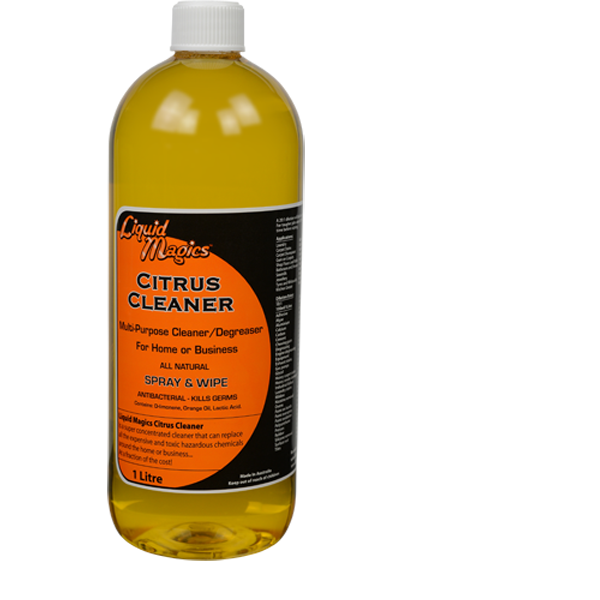 The bottle is screen printed with a graduated scale so you can check you Dilution rates for ease of mixing and measuring allowing your product fill to be seen. 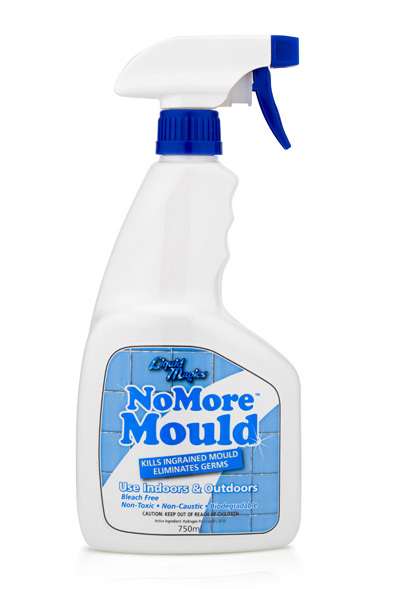 The Applicator Bottle also has a list of Dilution Rates for various applications. 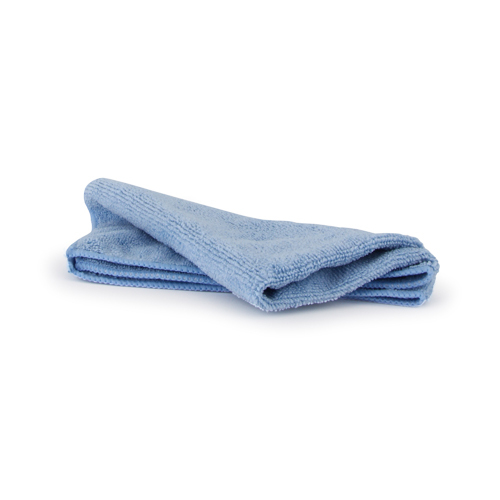 Complete with easy to follow filling instructions. 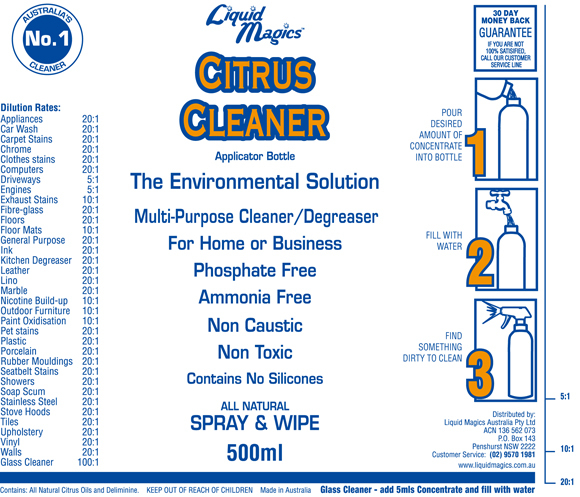 Liquid Magics Citrus Cleaner Plastic Applicator Bottle offers all the clarity of glass, yet lighter and less chance of breakage.